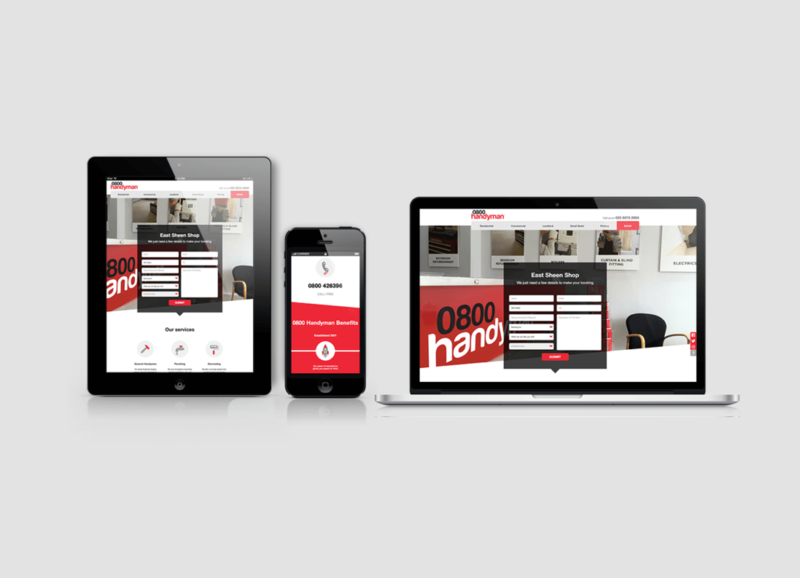 In The Studio This Week: The New 0800 Handyman Website! 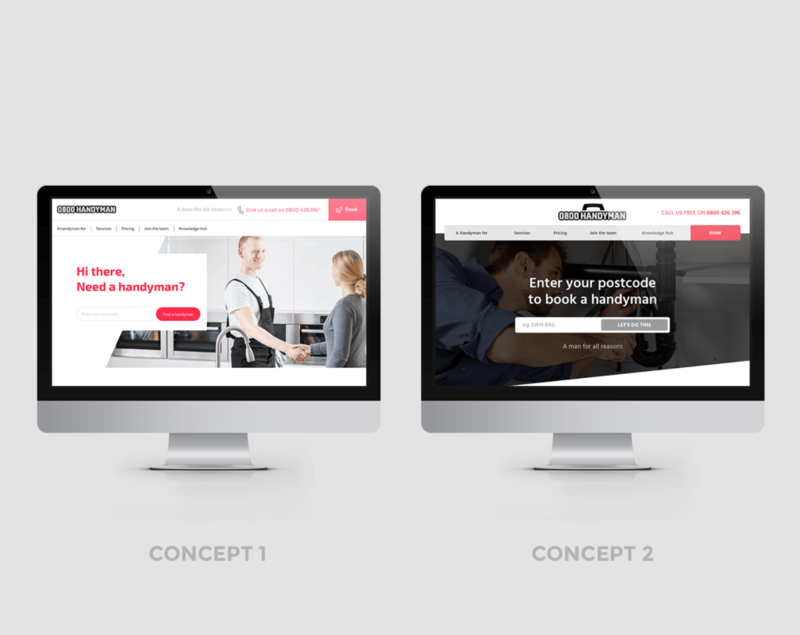 In the studio this week, we’ve been finalising the 0800 Handyman website which we launched just before Christmas 2018. 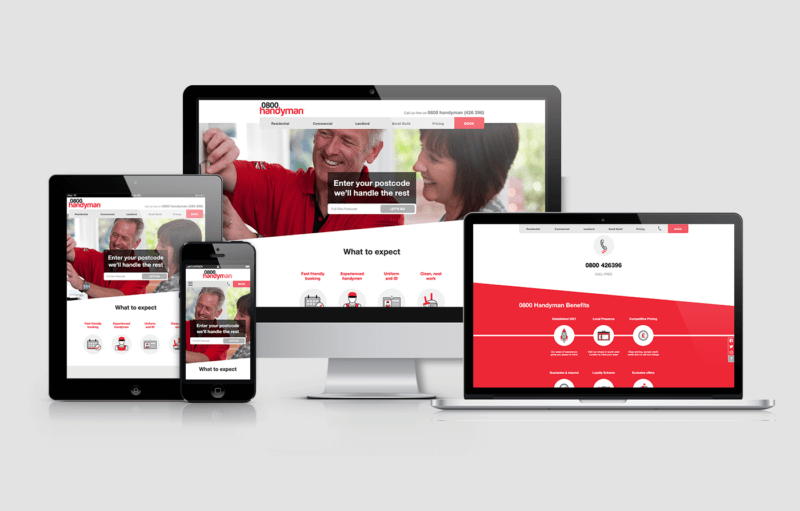 Glow was approached in autumn last year by 0800 Handyman, the first company of its kind to offer a mobile handyman service in the London area. Its vision was to improve the existing website in order to compete with the ever increasing and competitive market. Established in 2001, 0800 Handyman wanted to express its knowledge and expertise as well as demonstrate the friendly and approachable nature. 0800 wanted the new site to be user-friendly and promote its unique selling point. Unlike the competitors, 0800 Handyman has physical stores around London, where customers can visit for advice and rent tools and machinery. Not only can 0800 customers book online but they can also book in person with a friendly team member. The Glow designers, as with all our projects, designed two concepts, based on the brief and desired visitor journey provided by 0800 Handyman. The client requested we utilise its existing colour palette: a very striking combination of red and black. This design requirement was taken into account with both concepts and approached in unique ways. The concepts were then presented to the client and one chosen to be taken to the next stage of development. The chosen design (concept 2) featured custom-illustrated icons and large imagery of smiling staff members to create a personal touch and friendly appearance. 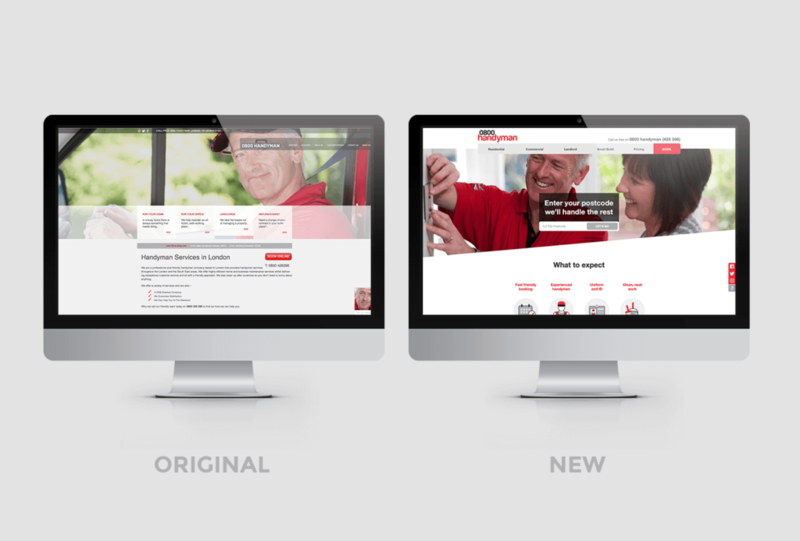 This was developed based on client feedback and developed over the remaining pages. Once the design was approved, all assets were created, and the build commenced! The website began to take shape and the user experience (UI) was tested frequently. Once approved, the site went live and there is now a period to allow for any tweaking. We think the new site is bright, fresh and easy-to-use. With clear call to actions; the site is swift to navigate and has a very approachable aesthetic. The text has been cut down and broken into bite-sized chunks and the design modernised. The 0800 Handyman service is only available to those in the London area – but if you live in this region, and have the need for a handyman, we’d highly recommend its service!